HELP HEAL YOUR DRY EYES WITH REFRESH® REPAIR. 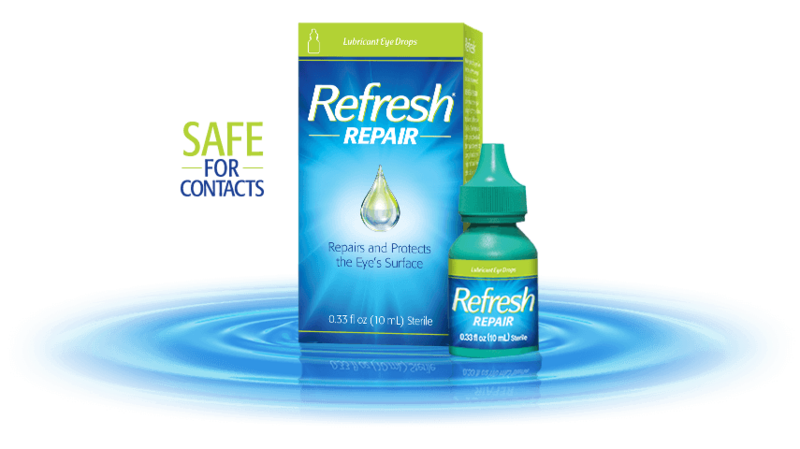 REFRESH® REPAIR is specially formulated to repair and protect the eyes from the harmful effects of dry eye, restores essential moisture to the tear film and delivers improved comfort and clarity of vision. Mega Dry Eye Symptoms? Meet Mega-3. 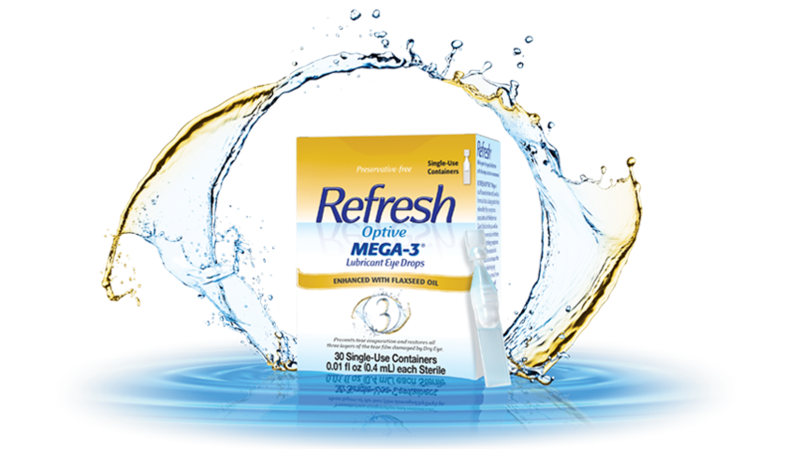 REFRESH OPTIVE MEGA-3® Preservative-Free Lubricant Eye Drops is a flaxseed-enhanced, low-blur formula clinically proven to treat the signs and symptoms of Dry Eye associated with Meibomian Gland Dysfunction (MGD), as well as soothe the everyday irritation, burning, or itching symptoms of Dry Eye. 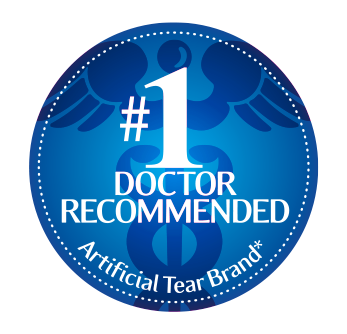 REFRESH® IS THE #1 DOCTOR RECOMMENDED ARTIFICIAL TEAR BRAND*. Our portfolio of eye drops treats Dry Eye symptoms quickly and effectively. Trust REFRESH® to relieve your dry, burning, irritated eyes. *inVentiv Health Research & Insights TreatmentAnswers, MAT ending October, 2016. REFRESH® Answers the Call When Dry Eye Symptoms Occur. First responders are often exposed to heat, smoke, wind, and dust, and that can take a toll on their eyes. This is part of the day-to-day challenges they must endure in order to save lives. That is why we are proud to support America's best by providing them with over $3 Million in REFRESH® eye drops, because they deserve relief too. JOIN US NOW ON FACEBOOK! 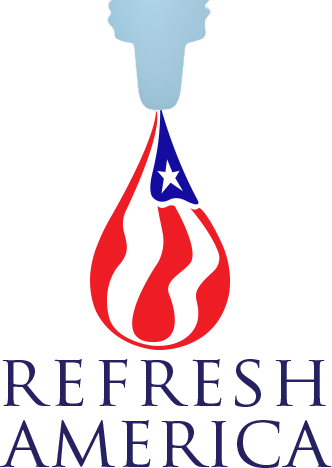 WE KNOW YOU'VE BEEN MISSING REFRESH P.M.® AND LACRI-LUBE®. Thank you for your patience as we work through manufacturing delays of our lubricant eye ointments. We know that they are an important part of getting the Dry Eye relief you need, and we're doing everything we can to bring them back as soon as possible. As always, we're striving to bring you the highest quality products and service. Sign up now to recieve availability updates and big savings upon their return. Many people who have CDE are unaware they have it. If you think you may have CDE, talk to your eye doctor about an appropriate treatment plan. Just answer the 12 simple multiple choice questions in our Dry Eye Quiz to find out. When you’re finished, print out your results and share them with your eye doctor who can help determine the appropriate treatment for you. Finally, before you take the Dry Eye Quiz, just a word about some terminology. At the end of the quiz, you’ll see your OSDI® Score. OSDI® stands for Ocular Surface Disease Index. Your eye care professional will be familiar with the term and will help you interpret your results. © Copyright 2019, Allergan, Inc., all rights reserved. This information is intended for residents of the United States.